Family Help and Wellness has been on a constant path of growth and development since 2008. Our continued partnership with some of the nation’s leading behavioral health programs has helped us to change the lives of thousands of families each year. Click on the years or program names to Learn More. 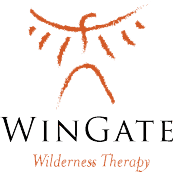 One of the most recognized primitive wilderness therapy programs Wingate Wilderness is a popular choice among parents. They are a Wilderness Therapy program offering solutions for teens in the expansive wilderness of Southern Utah. Owned and operated by Shane and Sheri Gallagher, Scott Hess, Brad Matheson, and Greg Hitchcock. Created by Graham Shannonhouse in 2009 this wilderness therapy program has pioneered what we have all come to recognize as outdoor therapy. Trails Carolina is the leading wilderness therapy program on the east coast offering help for struggling teens. Owned and Operated by Graham Shannonhouse, Shalene Pierce, and Jason McKeown. 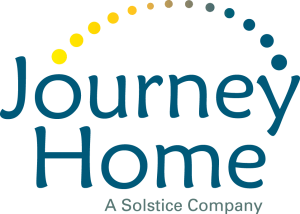 Solstice was the point of origin for many programs across the county. Solstice RTC is an intensive residential treatment center exclusively for young women age 14-17. Owned and Operated by Dan Stuart, Kyle Gillett, and Keoni Anderson. Asheville Academy is extremely unique with in residential programming. Offering a clinically sophisticated program specifically created for young girls ages 10-14 in Western North Carolina. Program owners are Cat Jennings, Mary Flora, Bryan Tomes, and Kathryn Huffman. 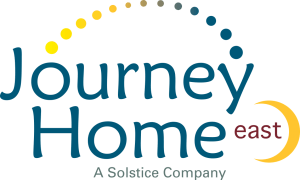 Created to help girls successfully transition from residential treatment programs to home, Journey Home has been a industry changing offering for many families. This transitional therapeutic program helps young women ages 16-21. Owned and Operated by Dan Stuart, Kyle Gillett, and Keoni Anderson. A mirror image of Solstice RTC in Layton, Utah Solstice East filled a void on the East Coast and was an immediate favorite with families. Solstice East is Western North Carolina’s leading Residential Treatment Center for girls age 14-17. Owned and Operated by Dan Stuart, Kyle Gillett, and Keoni Anderson. Parents with active children make BlueFire their number one choice for Adventure Therapy. Receiving accolades from professionals in the industry BlueFire takes advantage of the full four seasons and all the adventure activities offered in Sourthern Idaho. BlueFire combines wilderness and adventure for boys and girls aged 11-17 in southern Idaho. Owned and Operated by Kathy Rex, Reid Treadaway, and Jon Worbets. Elevations RTC provides a traditional boarding school experience with the clinical sophistication of a residential treatment center. Their large campus with separate dorms, full size gym, indoor rock climbing wall, traditional classroom instruction, and small class sizes make them highly unique. 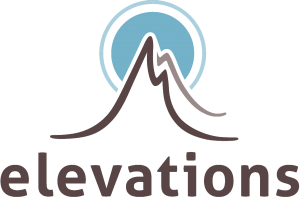 Elevations is a premier co-educational residential treatment center just outside of Salt Lake City, Utah for boys and girls 13-17. Owned and Operated by Judi Jacques, Jennifer Wilde, and Laura Burt. ViewPoint Center is unique in that it is the only detox center in the United States. ViewPoint Center is the nation’s leading Assessment and Treatment Psychiatric Hospital center for teens age 13-17. Owned and Operated by Judi Jacques, Jennifer Wilde, and Laura Burt. The growing need of programs focused on Autism and Aspergers lead to Dr. Gordon Day opening Seven Stars. This program provides assistance to children struggling with nonverbal learning disorders ages 13-18. Owned and Operated by Dr. Gordon Day. Launched in 2015 Red Mountain Sedona was an immediate success with families. This extended care program for ages 18 and up that help young adults launch into happy, healthy, productive lives. Owned and Operated by Josh White, Shayne and Sheri Gallagher, Scott Hess, Brad Matheson, and Greg Hitchcock. Many families were looking for a transitional option to residential treatment centers. Following the success of Journey Home in Utah Journey Home East was opened. This step down transitional residential program for young women ages 16-21. Located just outside of Asheville, NC. Owned and Operated by Dan Stuart, Kyle Gillett, and Keoni Anderson. Foundations Asheville helps young men to launch into adulthood with all of the tools necessary to be happy and productive. This transitional Living residential program for young men ages 18+. Located in Asheville, NC. Owned and Operated by Graham Shannonhouse and Adam Ray. Equinox was created to fill a void of programs specifically created for Boys age 13-17. Equinox secured a campus location and began promoting the creation of their program starting Fall 2016. The Equinox team opened up the first all boys residential treatment center on the east coast. Owned and Operated by Dan Stuart, Kyle Gillett, and Keoni Anderson. Kokua Recovery was established in 2017 to help the critical need of treating teens struggling with drug, alcohol, and tech addiction along with co-morbid conditions such as anxiety, depression, and low self esteem. Owned and operated by Ken Huey. Trails Momentum, a co-ed young adult wilderness therapy program for young men and women ages 18-25, was founded in the fall of 2017 by Graham Shannonhouse. 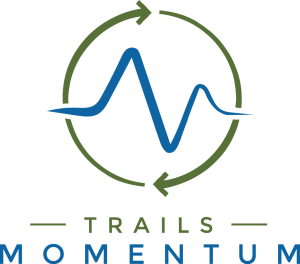 Through a combination of adventure therapy, service learning, clinical services, and community living, Trails Momentum helps young people who have struggled develop a clear path in life due to challenges such as depression, anxiety, and technology overuse. Uinta was an existing, reputable program which partnered with FHW to help provide even greater services to girls. This wonderful program helps girls ages 12-21 that are struggling with issues such as anxiety, mood disorders, and attachment issues. Uinta creates an individualized and cohesive treatment plan for each girl in order to meet her unique needs. Founded by R. Jeffrey Simpson and Becky Simpson. New Focus Academy focuses on helping the often underserved boys and girls ages 13 - 17 who struggle with prominent cognitive, behavioral, and social deficits. Students at New Focus demonstrate executive function, processing, and IQ issues. Our mission is to help these students develop skills to live independently as adults. Founded and operated by Dr. Brandon Park.